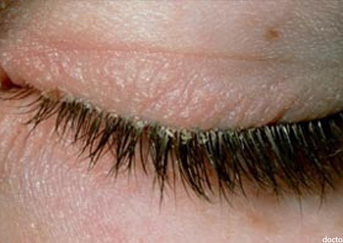 An important condition closely related to eyelashes conditions is blepharatis. 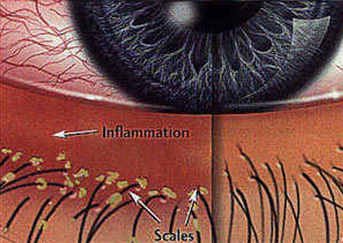 Blepharitis is a common and ongoing condition where the eyelids become swollen, with oily particles and bacteria coating the eyelid margin near the base of the eyelashes. This annoying condition causes: scales on the eyelashes, irritation, itchiness, redness, and stinging or burning of the eyes. While the underlying causes of blepharitis aren’t completely understood, it can be associated with a bacterial eye infection, symptoms of dry eyes or certain types of skin conditions such as acne rosacea. 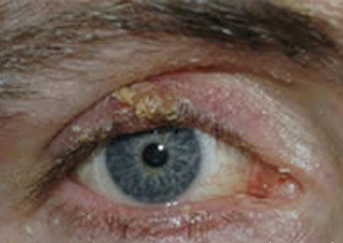 Blepharitis can be classified as anterior or posterior (in relation to the eyelid). 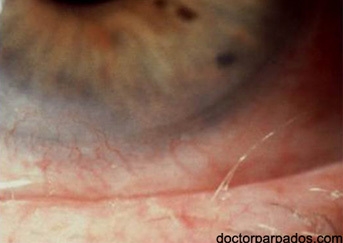 Anterior blepharitis affects the outside of the eyelid where your eyelashes are attached. This can be caused by bacterial (or sometimes viral) infection. 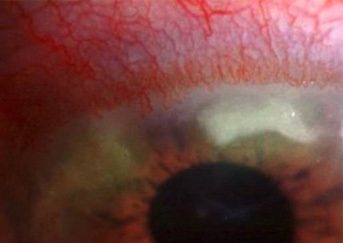 If left untreated, anterior blepharitis can lead to thickened and inward-turned or outward-turned eyelids and even vision problems from in-turned eyelashes damaging the cornea. 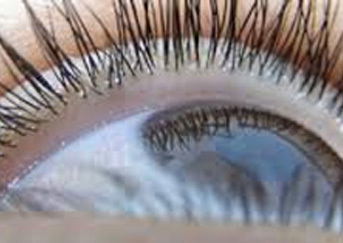 Posterior blepharitis is a condition that results from a dysfunction of the eye’s tiny oil glands (meibomian glands) in the eyelids at the base of the eyelashes. 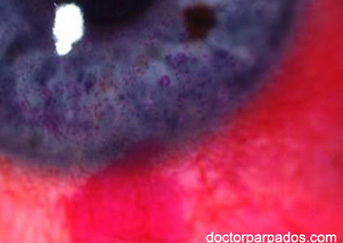 When meibomian glands become clogged from posterior blepharitis, it can also can cause a stye or chalazion to form. 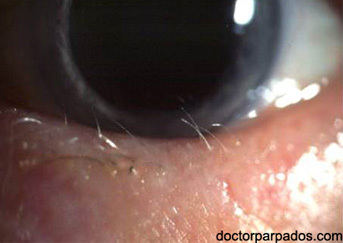 Posterior blepharitis also leads to thickened eyelid margins and crusty eyelids. 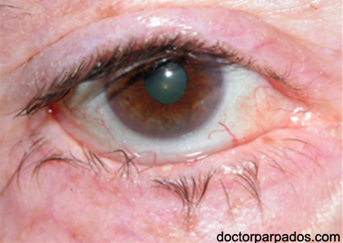 With this type of blepharitis, tears can even look foamy. 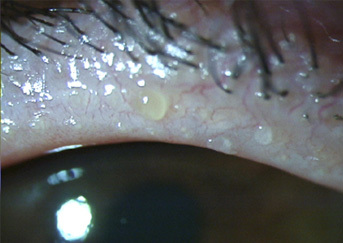 Many people have both anterior and posterior blepharitis at the same time in varying degrees. Distichiasis: is a condition in which there is abnormal growth of extra row (s) of eyelashes on the lid margin toward the eyeball. 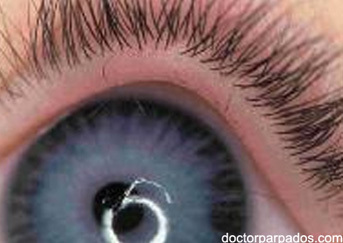 These extra lashes produce continuous friction against the eye surface (conjunctiva and cornea). We are a team devoted to the excellence in the art and discipline of cosmetic and reconstructive eyelid and facial surgery (Oculoplastic Surgery). On this site, you will meet Dr. Lin Yang, the first certified Oculoplastics and Orbital surgeon in Costa Rica, and you can find information on the cosmetic and functional procedures that Dr. Lin Yang performs, topics of interest, publicacions, and links of interest related to subspecialty of eyelid, orbital and facial cosmetc and reconstructive surgery. All rights reserved Costa Rica, Cirugía, Doctor, Ojo, Especialista, Oftalmólogo.